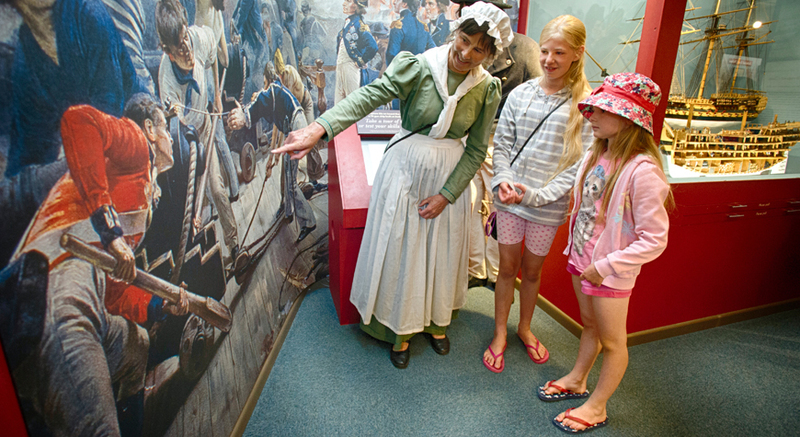 Meet characters from the past. 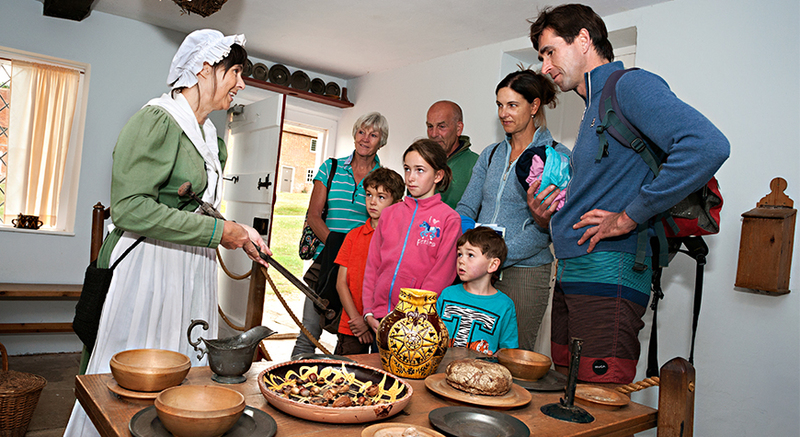 Join Living History experts for guided tours of the village during the summer and selected school holidays. 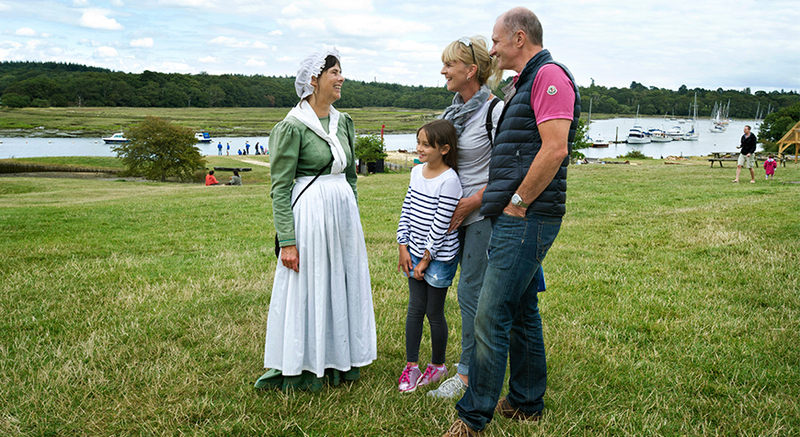 Step back in time to meet characters such as Balthazar Adams, son of Master Shipbuilder Henry Adams, and his wife Mary, who lived in the village when ships for Nelson’s Navy were built. 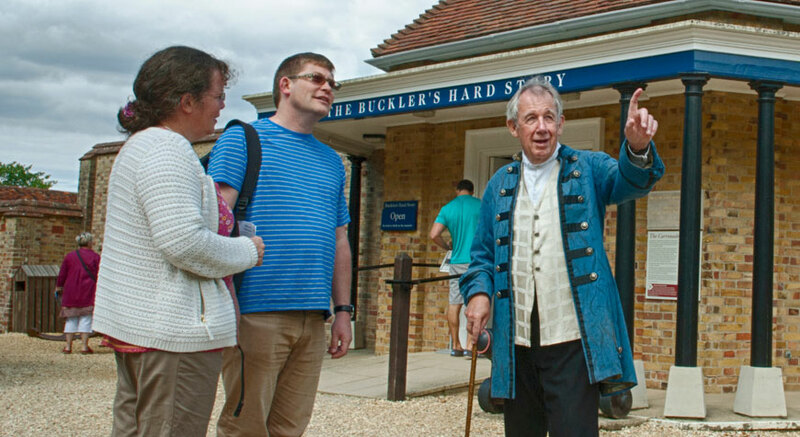 Join their daily tours during summer and selected school holidays to discover what life was like in the 18th century. By the late 18th century, horses had generally replaced oxen for the transport of timber, with up to seven horses harnessed in tandem.